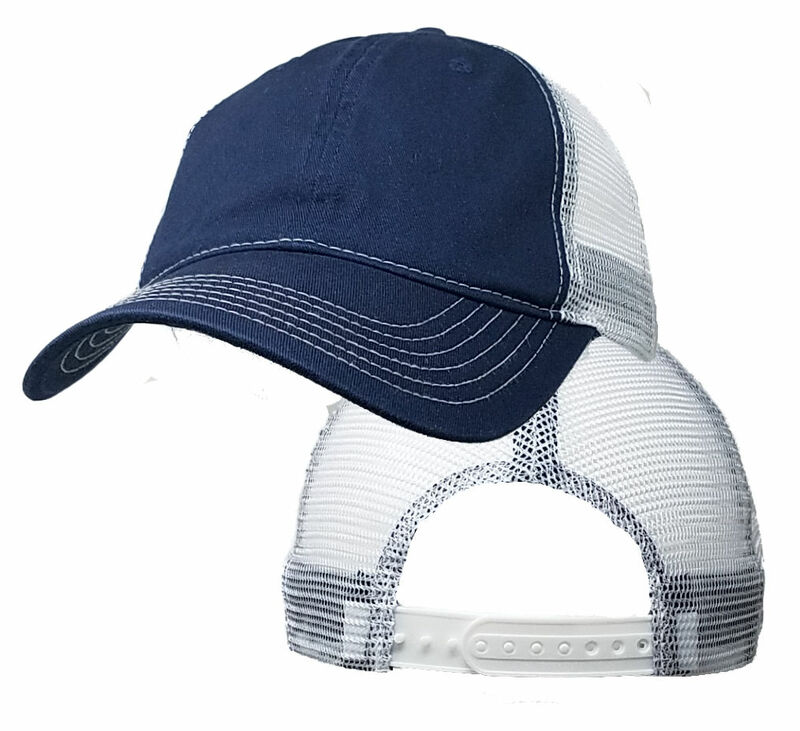 Our newest Big Mesh Caps fit like a low profile cap with comfort of mesh. The Navy Front and White Mesh and contrasting seam tape give it a fresh look. Bought on a whim, and love it. Perfect fit for my giant head, and breathes so well. Looks great to. I bought several hats from BigHeadCaps about 4 or so years ago, around the same time they changed the fit/design of the hats and the new design didn't fit me well (cap was too deep). Well I've been using the ones that fit constantly over the years, but now was in need of a new hat. I decided to check back here and gave this "low profile" hat a try and it fits wonderfully, pretty much exactly like the ones I originally ordered from here. Definitely recommend especially if you've found their hats that aren't low profile to be too deep. Fits great on a hat size 8 3/8 head with 3 snaps left (or 3 snaps connected). 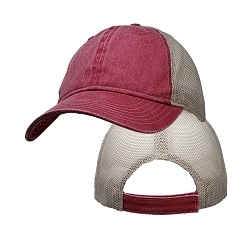 Nice looking hat that only required minor bill re-forming for an off center bend out of the box. I often struggle to find hats that fit my Fiancé's head and this hat is amazing!!! Most of the time hats don't sit deep enough on his massive head! But this one actually sits nice and deep and even has a little bit of extra room! The hat is great qualities as well! I am planning on seeing a patch or two onto the front of his hat! I highly recommend! Shipping was fast and reliable! I will definitely be buying another hat from here in the future! 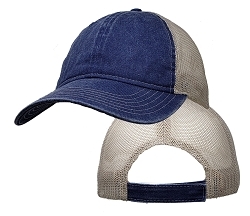 Great hat, I wish you guys had more variety in this style (unstructured trucker hat).